There cannot be many parents of young children who have not encountered the long-time children’s favourite, The Very Hungry Caterpillar book. 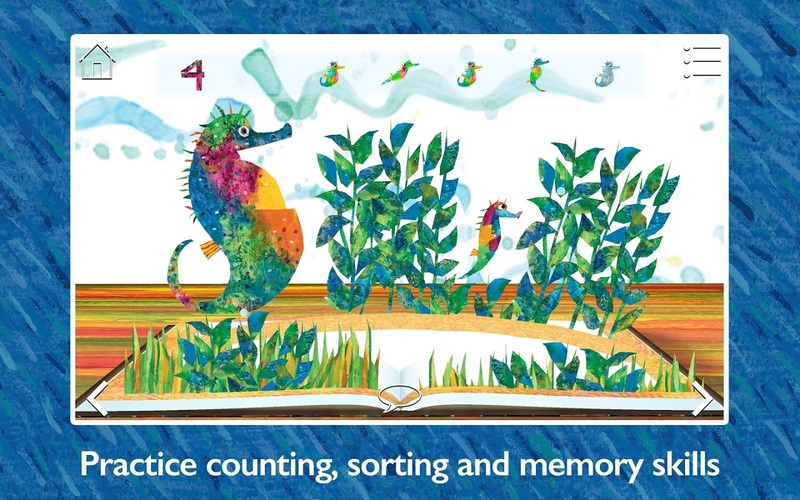 Its distinctive and wonderful artwork, its simple but educational story and its tactile design appeals to children in many ways. What a great idea it was, then, to make an app with supporting activities that just couldn’t work in a book. The app is clearly closely related to the book. The collage-like artwork remains along with the friendly tone. Its combination of this traditional artwork with the smoothly animated 3D book and its pages is a superb mix of the old and the new that will make parents remember their own childhood enjoyment of the book. The app offers education and entertainment at the same time. Like the book, children can enjoy it alone or with a parent. Unlike the book, the app can even read to children if they choose. It is safe to say that parents and children will enjoy the app most when they explore it together. Parents can draw out their child’s thinking skills with questioning and guidance. The activities are varied and easily accessible for young children. They combine fun interactions with learning. Whether they are helping the caterpillar to choose a healthy diet or identifying sea creatures, the app teaches children something then lets them play and use their new knowledge. The app can be a risk-free purchase as a free version is available to download. If your child likes it, you can either pay for the full app or upgrade the free app using the in-app purchase options. 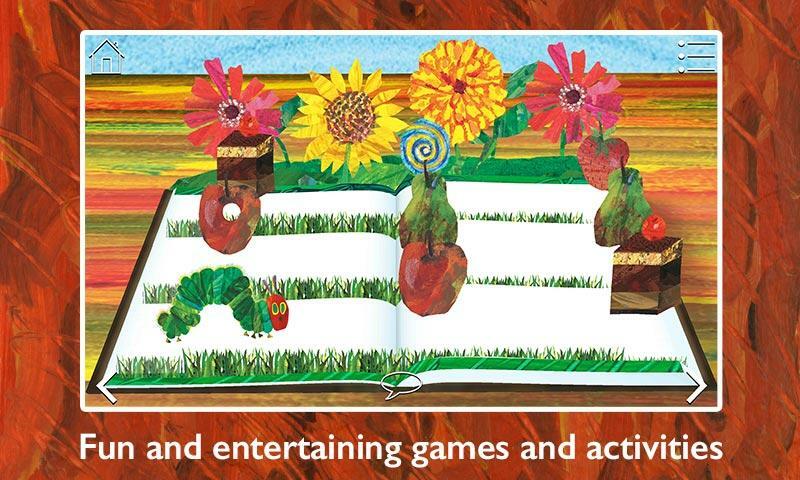 Parents looking for a way to extend their children’s enjoyment of a favourite book or just looking for an activity that they can share should check out this app and extend the enjoyment of The Very Hungry Caterpillar to the next generation. 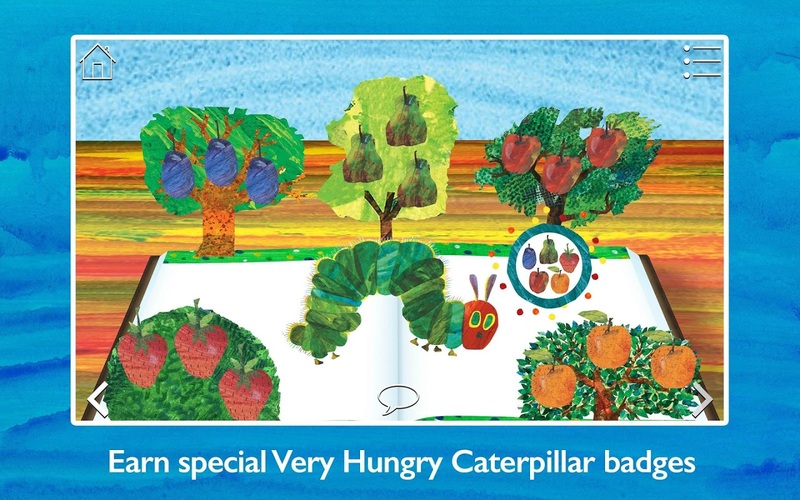 The Very Hungry Caterpillar is a great app that lets you learn new things. The encyclopedic approach really rouses one’s curiosity about various topics. Eric Carle takes the concept of metamorphosis and presents it in a way that young children can understand. He draws his audience in with an adorable caterpillar that eats everything, including cupcakes and lollipops. 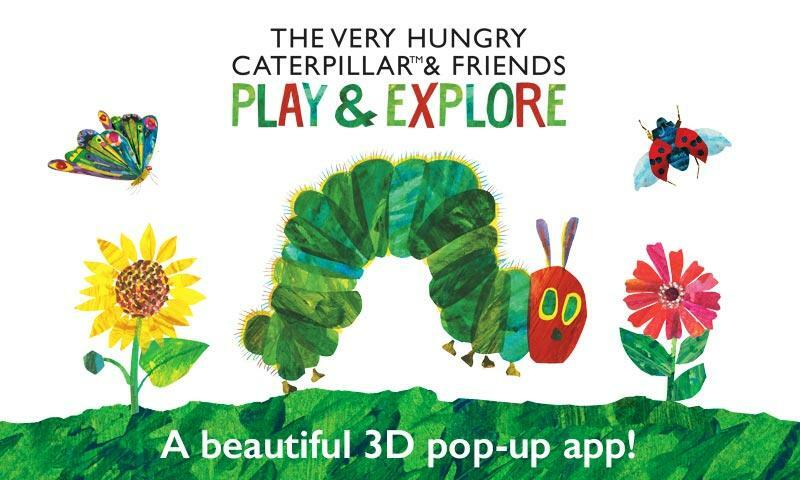 The beloved characters of Eric Carle are now available in The Very Hungry Caterpillar™ & Friends - Play & Explore, a stunning 3D pop-up app featuring fun and educational games and activities. 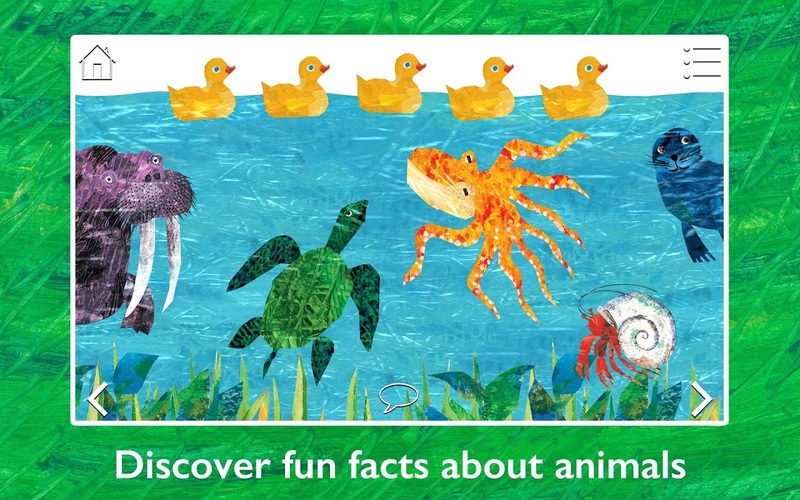 Learn about healthy eating, and discover amazing facts about caterpillars, seahorses, chameleons and other animals.